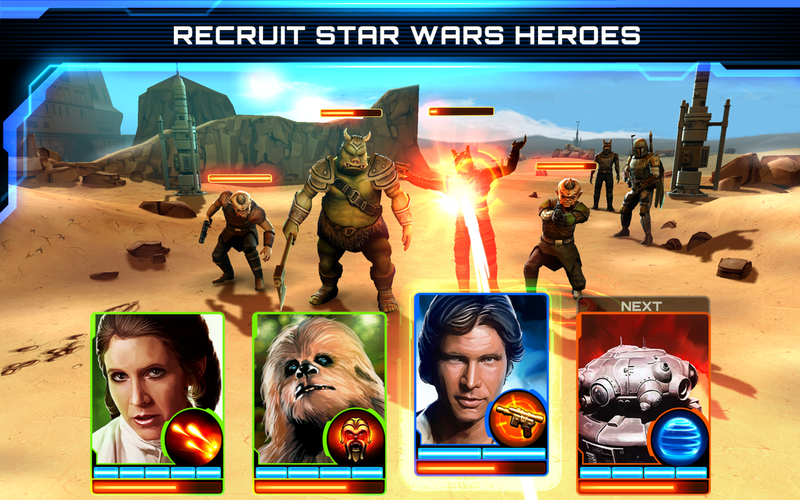 The new game comes from LucasArts and... hey, wait a minute, don't we already have a Star Wars card game on Android? 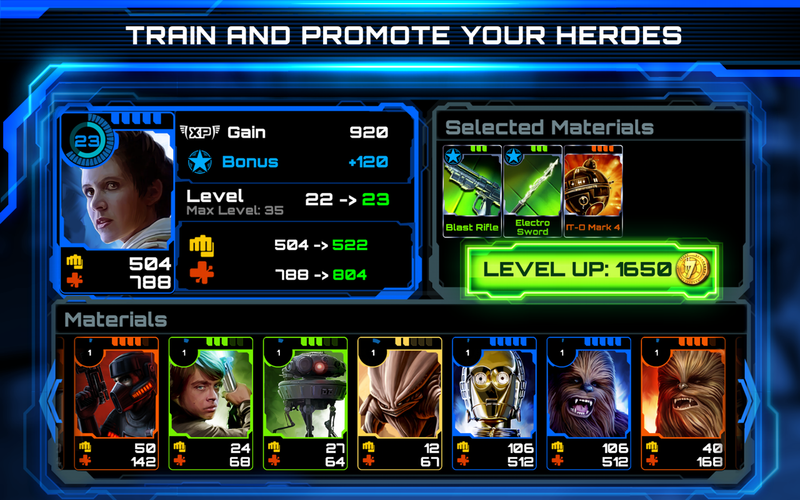 Indeed, Konami released Star Wars Force Collection, a shameless rip-off of other free-to-play card games, back in September. The new Assault Team doesn't appear to have anything to do with the previous game, aside from the standard turn-based combat and collection elements found in all of these games. The entire game uses 2D sprites with a few "pew pew" effects sprinkled in for atmosphere. Assault Force is developed by Disney Interactive and "published" by LucasArts, which no longer develops video games itself. 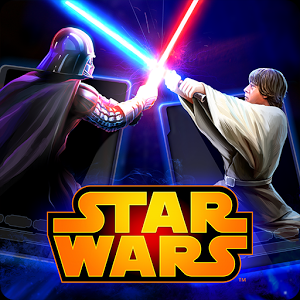 The game is pretty standard as far as card battles go - you collect Star Wars characters, fight them against various incarnations of stormtroopers and aliens, and use in-game currency to level the cards up. 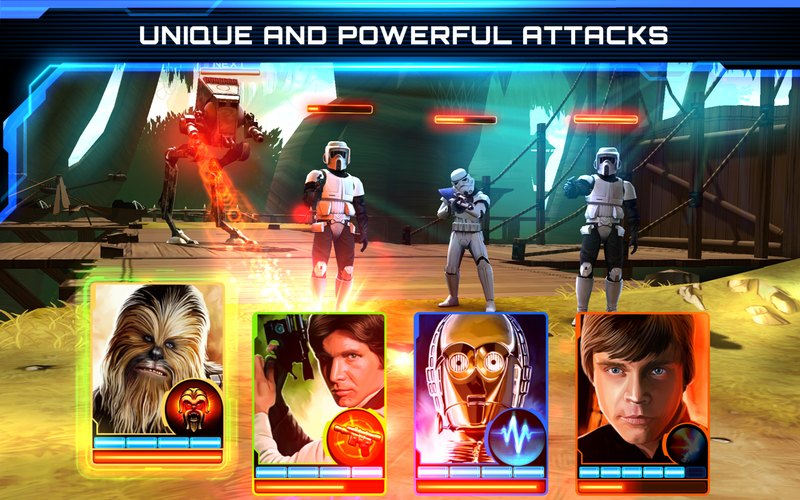 (Some of the attacks are interesting - Luke gets his lightsaber and Han and Leia use blasters, but it looks like Chewbacca just roars at people, while C3PO uses the amazing power of talking to defeat his enemies.) Naturally there are in-app purchases for more credits to create more powerful cards. What's a good name for a saber with a blade that's made out of energy? I know: "electro-sword." 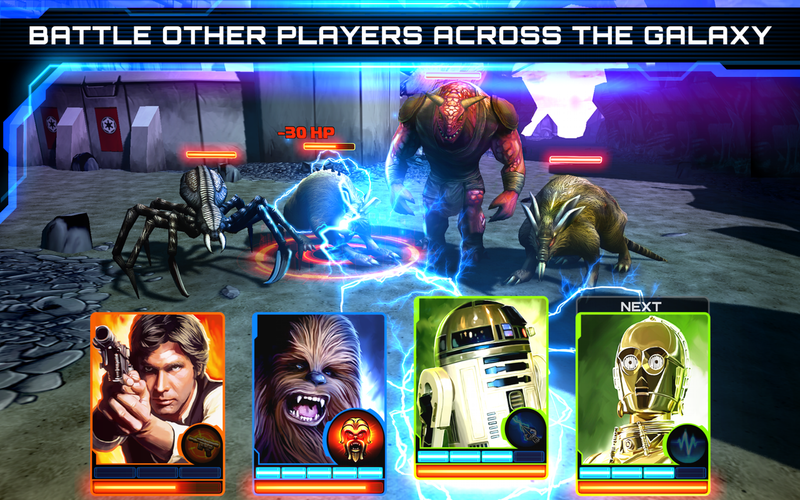 If you really, really want to play Star Wars: Assault Team, you'll need to be in specific locations that are part of the test. So far we've only been able to confirm that Australia is included, but there may be other countries or markets as well. Star Wars fans, try to contain your disappointment until the wider release this spring.